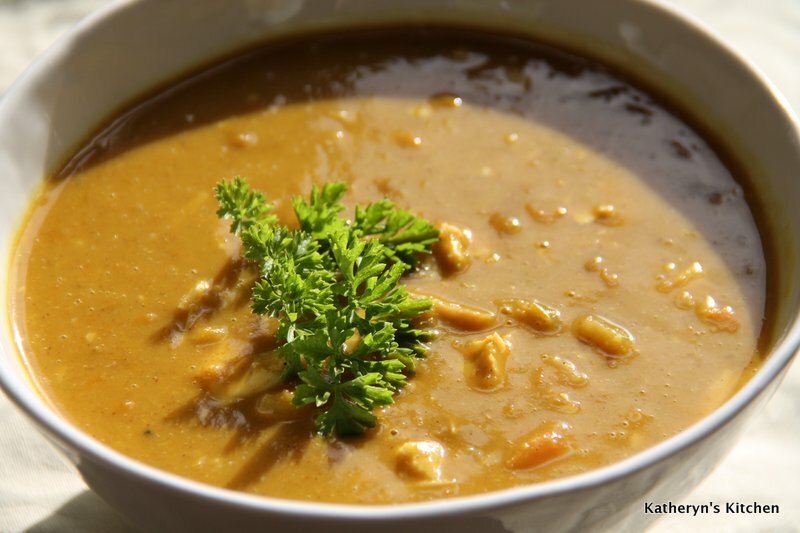 The name Mulligatawny comes from two Oriental Indian words meaning “pepper water” and curry is the ingredient that gives this incredible soup such a delicious flavor. 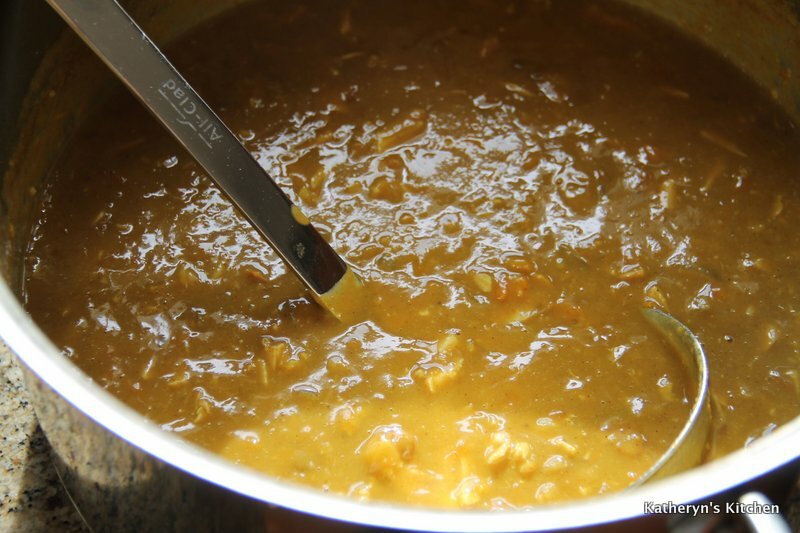 Mulligatawny soup is a perfect vehicle for leftover roast chicken or turkey. Thanksgiving came and went, and as usual we had leftover turkey meat which I froze for future use. I wanted to make some form of a soup and we love curry, so decided on this delicious soup/stew, I hope you like it! 1. Melt butter in a large pot over medium high heat. Add the onion and carrots, then sauté for 5-6 minutes or until the onions have softened. 2. Add garlic and diced apples, sauté for another 3 minutes. Mix the spices and flour in a bowl, now add to the pot and toss to coat. 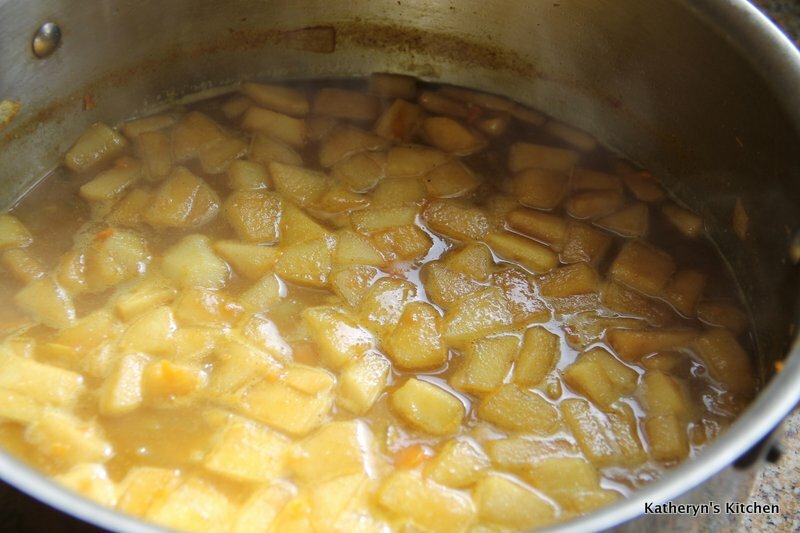 Add in lentils and rice, broth and bouillon cubes, mix well and let contents come to a boil. Turn the heat down to medium low and let simmer covered for about 45 minutes until lentils and rice are cooked. 3. When the lentils and rice are cooked, turn off the heat and puree in a blender 50% of the soup mixture and then add pureed soup back into the pot. 4. Now add the coconut milk and diced turkey or chicken. Season with salt, you will probably need at least one teaspoon. Mix well and serve.